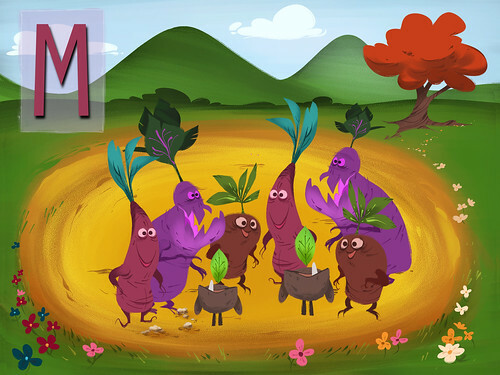 A captivating and interactive storybook app featuring charming artwork by some of the animation industry’s top artists! 405 backers pledged $37,900 to help bring this project to life. …to our Kickstarter page! 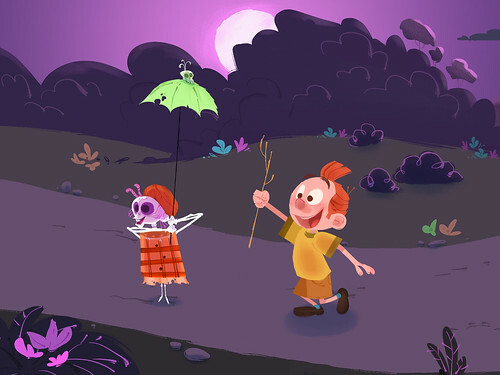 We would absolutely love your support in helping bring our latest passion project to life: a captivating storybook app featuring charming artwork by some of the animation industry’s top artists, and narration performed by none other than Jim Dale, of Harry Potter audio book fame! A boy’s dreaded daily routine spins toward the unexpected when, one morning, he rises from the "wrong" side of his bed. 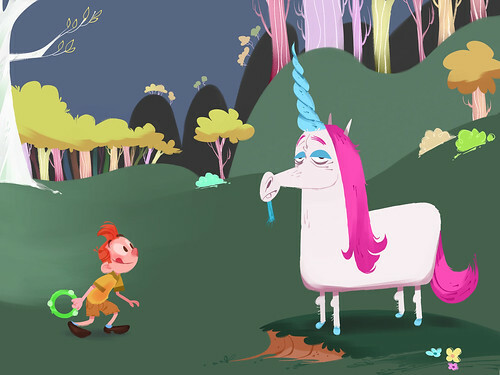 Over the course of the day, he finds himself confronted by fascinating mythical creatures from every corner of the world. As his adventure progresses, he begins to feel more at ease and befriends the creatures he encounters. By day’s end, the boy returns to bed with a refreshing new attitude – and he now looks forward to experiencing whatever new adventures the next day may bring. 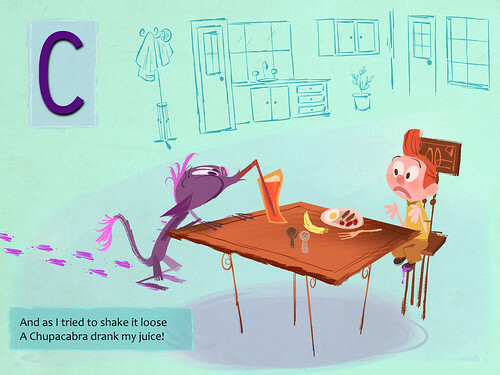 “My Beastly ABC’s” will be comprised of 37 separate colorful “scenes” bursting with comedy and whimsy. 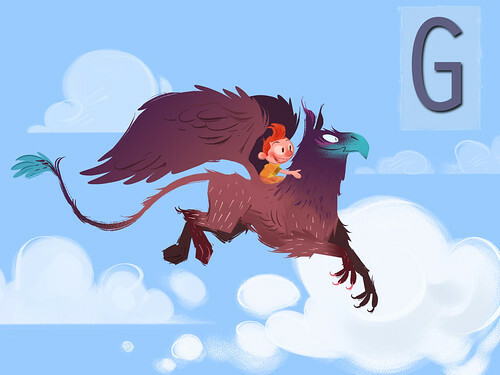 To further enhance the user experience, the visually stunning artwork will be created at the latest high resolution standard of 2048” X 1536.” The story is reminiscent of classic rhyming storybooks, with an added element of surprise brought about by the interactivity, movement, and sounds not possible with the ordinary book experience. Touching the characters within the scenes will cause them to move, react, or make funny sounds in unexpected ways. For example, one creature may be tickled, while another can be manipulated to dance on the page. Some will be able to follow the viewer’s finger across the scene, while others will have added gaming elements to them. Graphic arrows will allow a viewer to easily move among the scenes. A Chapter Menu index will also pull up images to allow for a quick jump to favorite moments. Viewers will have the option to either have the story read to them automatically (did we mention Jim Dale is our narrator? ), or for them to read the story themselves. Music/Sound Effects can also easily be switched on and off (a very popular restaurant feature)! This app will be as educational as it is fun. Besides encouraging reading and the interest in different cultures, the story and interactivity also offers children a way to learn how to confront everyday apprehension and fears. 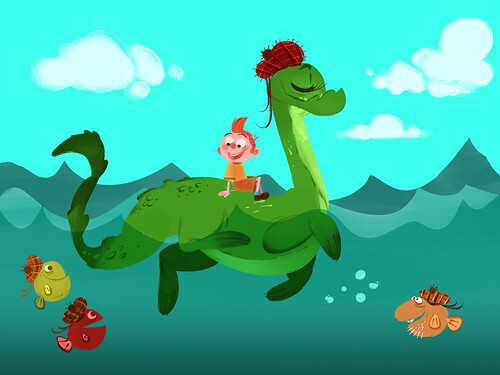 What better, more entertaining way to do that than with a bunch of colorful creatures! A creature description index will allow the viewer to read further details about each beast – including fun facts about their country/ies of origin and folkloric information. 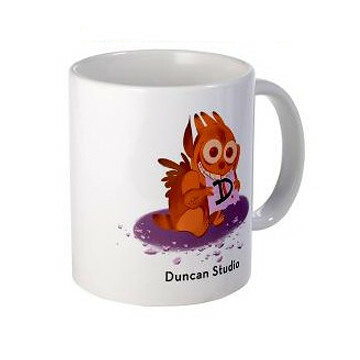 Duncan Studio (www.duncanstudio.com) is a full-service, creative animation house built on the idea that animation, as a storytelling tool, is truly limitless. 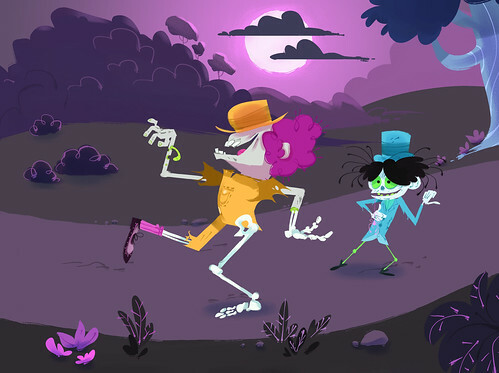 Founded by world-renowned animator Ken Duncan, we have partnered with many major studios to produce projects of the highest quality using traditional (2D hand-drawn), computer animation, and stereoscopic (3D) formats. We are now venturing toward a new exciting direction by creating our own interactive storybook iPhone/iPad app. Employing our highly experienced staff, adventurous spirit and uncontainable passion, we are working hard to create something magical on this innovative platform that is sure to delight adults and children alike. This project is a true work of passion for us and, because it is 100% self-financed, we need your help to make it a reality! Kickstarter offers a unique, personal way for us to directly reach fans of art and animation – that’s where you come in! Your support will ensure this interactive story is brought to life at the highest quality. You'll be participating in something truly special, educational, and tons of fun!! ANIMATION ALLY: You get our heartfelt thanks! Every contribution is appreciated! BEASTLY BACKER: You will receive a copy of the fantastic app. You will love it! 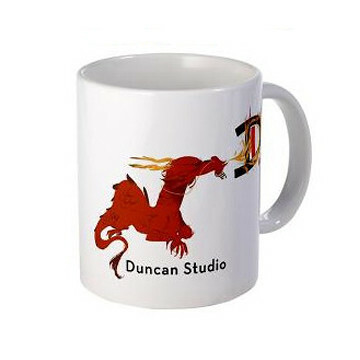 CARTOON COLLABORATOR: You will receive the app plus the Duncan Daily Doodle Book- 2011 edition. 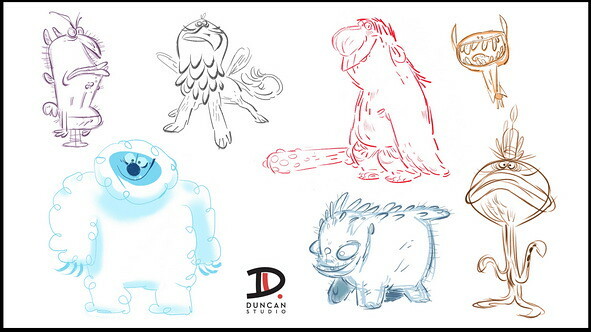 This is a collection of fun doodles from the artists of Duncan Studio. (U.S. shipping included. 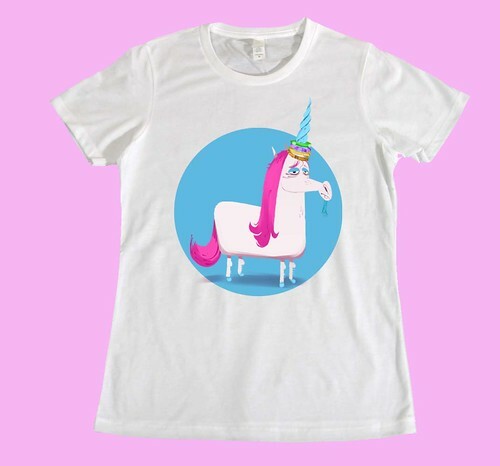 International backers, please add $5.00 for shipping). New Reward Added!! 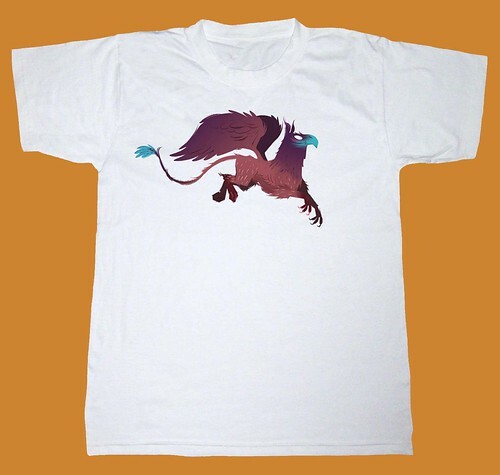 Includes everything above PLUS a Beastly T-Shirt with your choice of a cool Griffin, Jackalope, or Unicorn graphic! 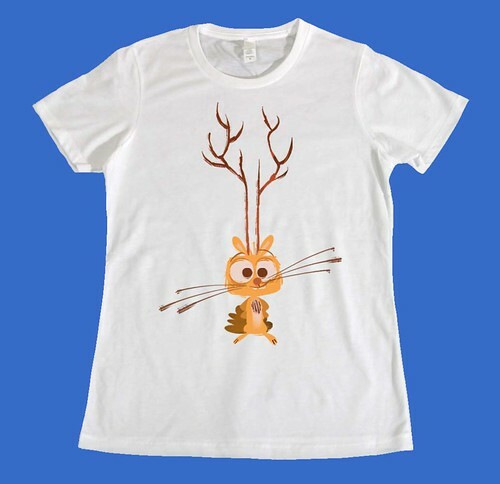 Available in adult and kid sizes. DEDICATED DONOR: You get all of the above plus a Limited Edition Beastly ABC's Poster displaying the awesome artwork from the app with full alphabet and corresponding "creatures." This is a 24" x 36" poster that will add fun to any room. (U.S. shipping included. International backers, please add $10.00 for shipping). You will also receive a special “Thank You” on our facebook page. 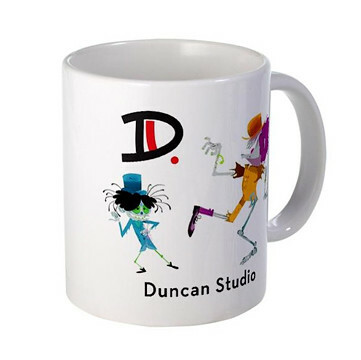 ENTHUSIASTIC ENDORSER: You get all of the above PLUS a classic Duncan Studio Mug, which will make your animation fan-friends jealous, PLUS a Limited Edition Beastly ABC's Poster SIGNED by the one and only Ken Duncan! (International backers, please add $10.00 for shipping). FAITHFUL FAN: You get all of the above PLUS a PERSONALIZED Print of Beastly art. We will create an original, 11" x 17" print picturing the letter of your choice with the corresponding creature, personalized with your child's name (or yours!). (International backers, please add $10.00 for shipping). GENEROUS GIFTER: You get all of the above plus YOUR VOICE ON THE APP. 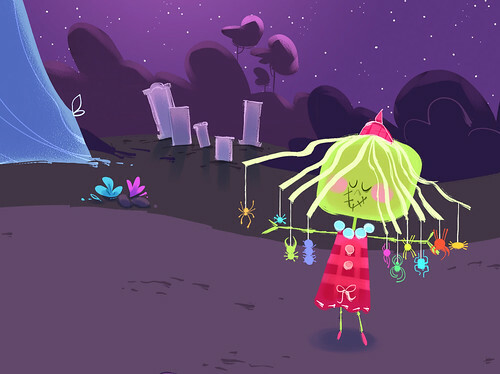 This is a very limited opportunity for you to have fun making weird sounds and giving voice to one of the magical creatures on our app (we choose the creature). You will also be given a "special thank you" in the app credits. You must be available for the voice recording in our Pasadena, California studio to be recorded by June 30, 2012. 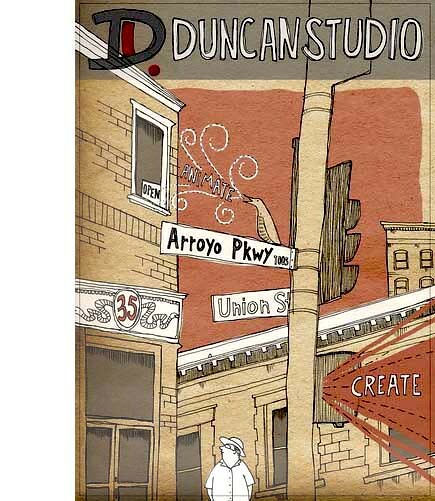 HEARTFELT HELPER: You get all of the above (EXCLUDING the voice on app) plus a tour of Duncan Studio, a gift bag of Duncan Studio "goodies," and a very special lunch in beautiful downtown Pasadena with none other than Ken Duncan! Contributor is responsible for his/her transportation to Pasadena, California. INDISPENSIBLE IMPRESARIO: You get all of the above (EXCLUDING the voice on app) plus an ORIGINAL SIGNED Art piece on 16 FIELD ANIMATION PAPER by Ken Duncan. 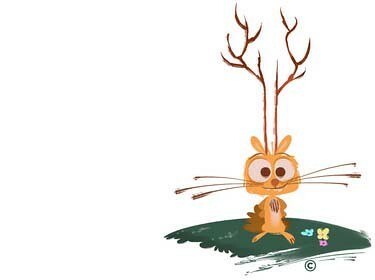 This is a unique opportunity to own a singular piece of work by the inimitable, renowned animator. JUBILANT JEWEL: You get all of the above (EXCLUDING the voice on app) PLUS a one of a kind, ORIGINAL, FLIPPABLE ANIMATION SCENE by Ken Duncan. This will consist of 20 (at least), hand drawn (2D) poses created especially for you by the master. This level is limited to two “precious” donors.